Often the last thing we think about when learning an instrument is our posture. In the excitement (or torment) of practicing, our attention is drawn to “battle zones”: aching fingertips, bad sounding notes, difficult passages that we are struggling with, and so on. Posture and form go out the window, and understandably so. Here at JamAlong we teach Musical Posture early on, because we believe it is very important not only to the playing ability of our students, but also their long-term physical health as well! Think of it this way: if you hold your body in a position that is a strain on your muscles, over long periods you could cause minor damage, or in the least make your playing experience less comfortable. So let’s start from the beginning, where the rubber meets the road…our chair. You’ve probably heard this before, but the big no-no with any chair is “arms”. Whatever chair you decide to adopt, make sure it is arm-less, because your freedom of movement will be restricted in any sort of armchair. Secondly, you don’t want anything plushy or too soft. Yes, you can have some cushioning for your derriere, but you need to be able to sit upright with a straight back above all. Anything that you’ll sink back into is not good for serious practicing, and although there is no harm in noodling around while being sunk in your couch now and then, for the most part you want to be upright and unrestricted in your movement. We endorse having some altitude as well, if your chair is too low it tends to promote hunching forward. Having more of a stool not only keeps your awareness on your upright posture, but will also be better when you attend a jam session or even performance. 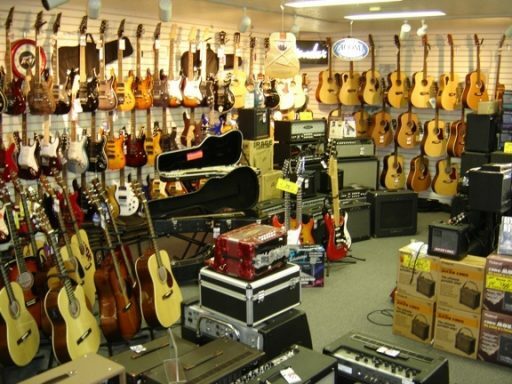 (Check out the Fender Musicians chair we use on our store page HERE). easy to get into the bad habit of tiptoeing with one of your feet, in an effort to angle your instrument in a certain way. This is actually a bad habit, because it will strain your calf and ball of foot after extended time in this position. Another similar habit is to prop one of your feet on the opposite heel, once again in an effort to raise your knee. Also not good in the long term. Here is the deal: if you feel the need to have either of your knees higher up, that is when you use a foot stool. Yes, musicians (classical guitarists in particular) have already been through this dilemma, so there is no reason to reinvent the wheel. We also have foot stools available on our Musical Accessories page. The take away this is simple: either sit so that both of your feet are firmly planted on the ground, or use a foot stool. Neither is better, just a matter of what instrument you are playing, as well as your own personal style. Your Holding Style is how you “wear” your instrument. Whether you are playing with a strap or setting your instrument on your knee or lap, there are two primary principles at play: Comfort, and Accessibility. In other words, if you are both comfortable and can reach all the notes you need, then you have a good Holding Style! First let’s discuss the pros and cons of using a strap. This is pretty easy to summarize: if you are going to need to stand while you play, then yes, get and use a strap! This would include any sort of performance where standing is preferred, as well as outdoor jam sessions and the like. For pretty much any other occasion, there is no reason not to sit and relax, and a strap becomes superfluous once you are in a chair. Now, for the sitters among you, let’s discuss the different options. Generally there are three ways we can position our instrument on our body: right knee, lap, or left knee. (of course we’re not including the fiddle, upright bass or Dobro in this theory). For guitar family instruments, resting it on the right knee is the most common for bluegrass, folk and country players. When we move it over to our left knee, it is known and the “classical” position, and is commonly taught in classical guitar lessons. The banjo, owing to its unique round shape, is most often played nestled in the players lap, supported by both thighs. Although there are some banjoists who balance it on the right knee (like a guitar), it is our recommendation that you keep it snugly between your legs. This is the same with the large mandolin family instruments as well, such as the octave mandolin and bouzouki. It behooves you to try using a foot stool under your left foot as a banjo player, it can raise the angle of the neck and make it more accessible. 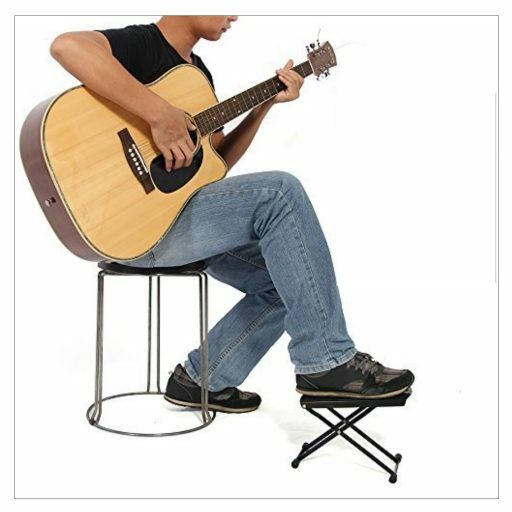 For guitarists, the most common use of the foot stool is in the “classical” position, but there are some players who put the foot stool under their right foot to give their guitar more elevation. Once again, play around with everything, how do you know what’s going to work if you never try it? 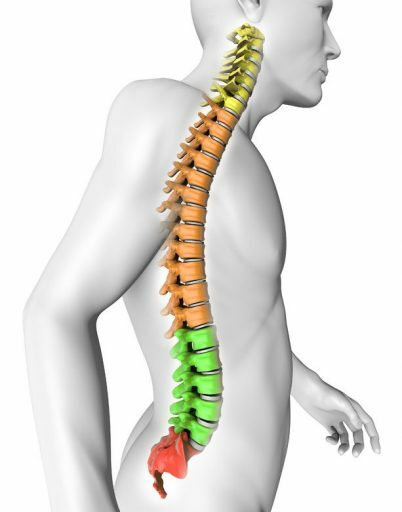 The back is in more ways than one the pillar of our body. A straight back allows us to play better and feel good, while a tilted or hunched back can lead to a world of problems. Fortunately this one is pretty easy to achieve: just sit up straight every time you play! Think chest forward, shoulders back, and don’t slouch forward, and you’ll be fine. The trick is remembering to keep this posture, and you will most likely discover that after a few minutes into practicing, you’re back slumping again. Don’t despair, just keep coming back to good form, and over time you will just sit up straight naturally. If you are a fan of reminders, just put a post-it on your music stand or a note on your wall where you practice, we find this does help. What’s interesting is that once you have the proper chair (armless), and are sitting with a nice straight back, all of a sudden there is more emphasis on what the arms are doing. The key to good arm posture is that they should be doing noting more than getting your hands to reach the instrument. In other words, if there is any additional work involved, like your elbows are sticking up or you are moving your arms a lot when you play, then you are wasting energy. With the arms, we want gravity to dictate how they are positioned, for the most part. So let then “hang loose”, and that way the focus is on your hands where it belongs. The phrase is “the arm serves the hand” is very illustrative here. So for example, if you are making a tough chord-shape with your left hand and need to push your wrist out to make the stretch, then your arm will leave it’s relaxed state to facilitate this, but as soon as the stretch is over, the arm returns to it’s natural relaxed “hanging” state. 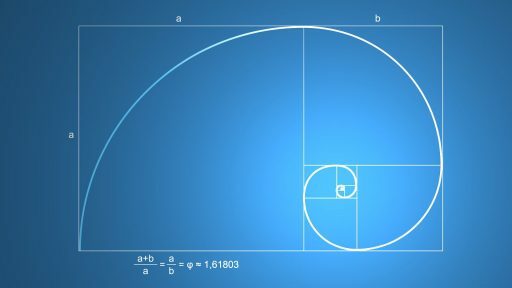 There is a really neat concept in physics often termed the “Golden Spiral”, which basically described a continuing curve that is found everywhere in nature, from the shape of a sea shell to the spiral arms of a galaxy. And when we apply this concept to physical structures, such as our arms, we can gain a very powerful insight. What this means is that when we look at the curve of our arm, starting at the shoulder and continuing on all the way to our last finger joint, there is a natural decreasing spiral. Now it’s not necessary to make a fuss trying to force our arm to confirm to this shape, because the whole point is that this is our naturally occurring posture. Where we do want to direct some attention is toward the smaller joints, the wrist and the knuckles. This is an area where conscious application of the Golden Spiral can be very helpful. 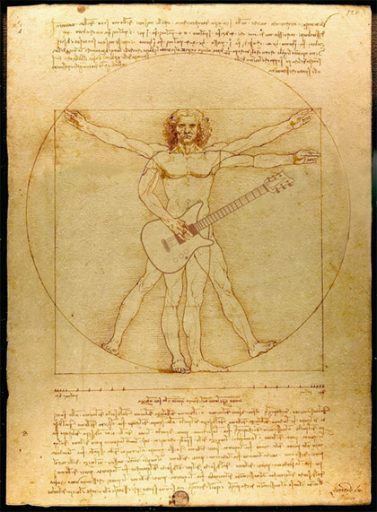 So, if we look at the first picture of the left hand wit the guitar, you can see that indeed there is a natural curve occurring. Last but certainly not least, is the task of pressing down on the strings, or “fretting” (and yes, it’s called that even on the fiddle). Beginners know this as a painful stage, when callous is still forming. But painful fingertips aside, it is important to understand the principle of what we are trying to do here. 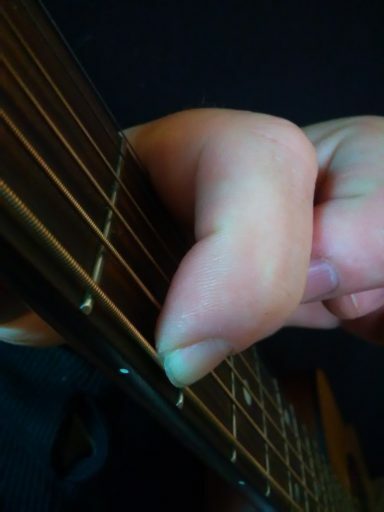 So, as you either play scales or make more complex chord shapes, you will find that having your fingers follow these rules is a bit of work, but the effect is that you sound clean and are actually wasting less effort. Now there is however another technique which seems to break these rules, and that is when we make “barre chords”. This is when we press more then one string with the same finger. Often we lay the index finger across several or all strings, sort of like a capo. We then use the remaining fingers to finish the chord or play a passage, while the “barred” finger remains laid down. 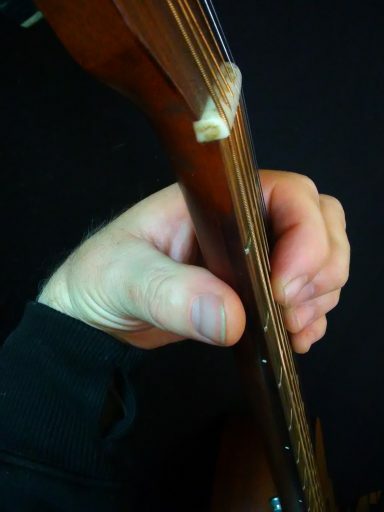 This is indeed a more advanced technique, and is difficult at first because of the sheer force required to fret multiple strings with one finger. All we can say is try to keep all the points of good Musical Posture present in your mind even when struggling with a difficult technique like a barre chord. Next post: Learn to Read Music the FUN Way!